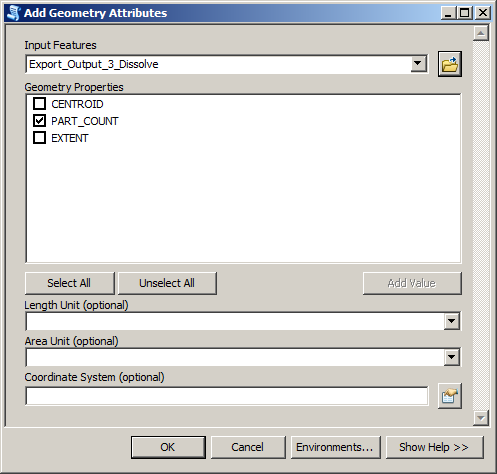 The ArcMap Properties dialog does not indicate if a shapefile contains multipart or singlepart polygons. Is there some other way to identify if a polygonal shapefile (or any feature class, for that matter) contains singlepart or multipart? Note parser is set to Python. The Multipart Polygon check finds multipart polygon features and writes them to the Reviewer table as records. The check can be run on an entire feature class, a subtype, or a set of features selected using a SQL query. Here's a little python script you can just run in ArcMap, just put in the name of the layer at the top of the script and run. Will tell you what features are multi-part. print "Nonetypes (Zero length typically):"
Not the answer you're looking for? 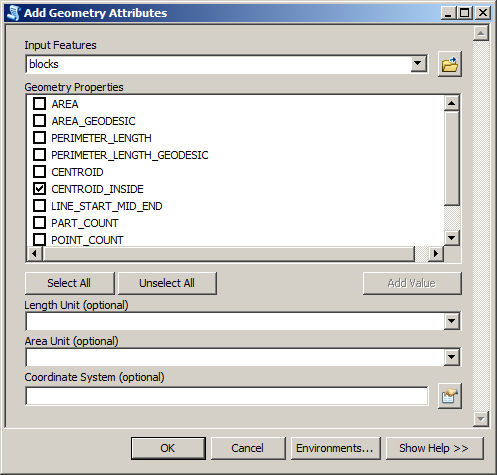 Browse other questions tagged arcgis-desktop multipart singlepart or ask your own question. Producing singlepart featureclass with unique IDs for each spatially non-connected polygon? Why would Select By Location appear not to work properly after Multipart to Singlepart? Identifying which singlepart non-overlapping polygons are islands using ArcGIS for Desktop? Multipart to Singlepart and Explode not working in ArcMap?